Hot. Humid. Amazing views. 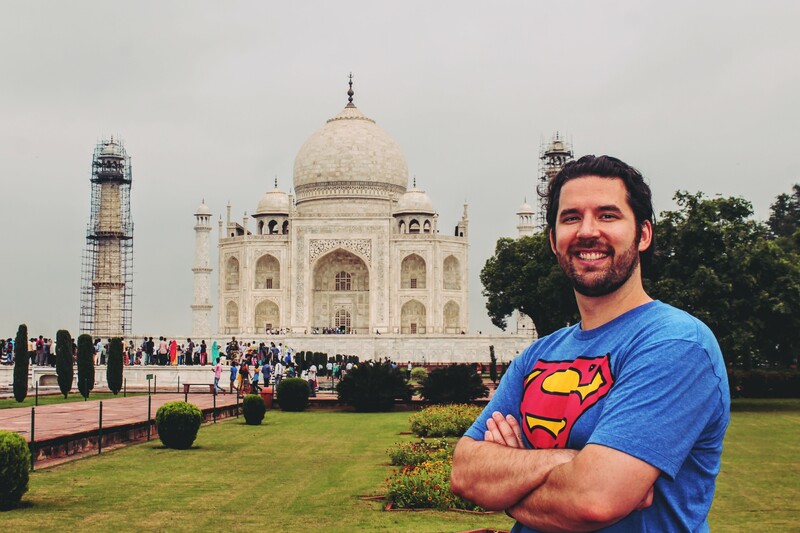 These all describe my experience in Agra, India, where I went to visit the Taj Mahal and the Agra Fort. To start this whirlwind journey (I was only gone for 24 hours), I caught a flight on AirAsia to Delhi. 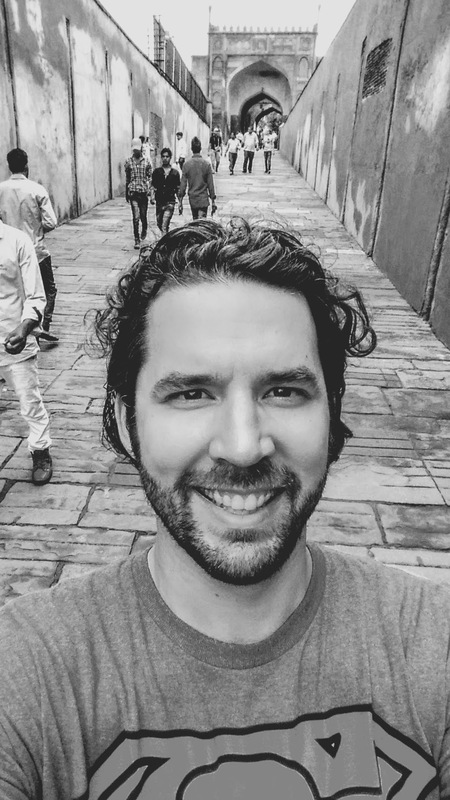 Not having been to Asia before, I’d never used them, but the flight was barely $100 USD (and that was with extras like booking an exit row seat and a small meal for both flights), so that seemed like a great deal. 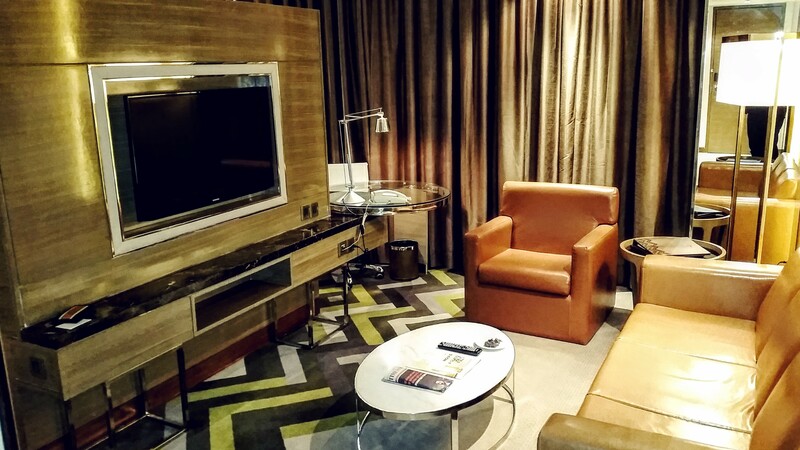 I also found another deal on a hotel in Agra – the Courtyard Marriott (the room was ~$57 USD). 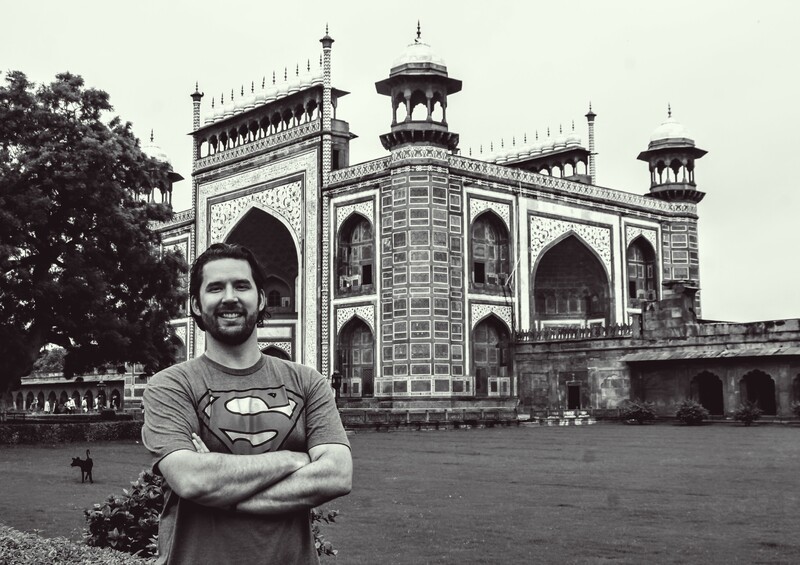 The other big thing I needed to do was figure out how to get from Delhi to Agra (about a four-hour drive), so I talked to my India team about it and it turned out that someone on the team is from Agra and someone from his wife’s family owns a transportation company, so he got it all sorted for me. Brilliant! But why not just fly to Agra? While there is an airport there, services only operate from it a few times a week, so it wasn’t an option for me. Depending on your travel plans, it could be, so do your research! 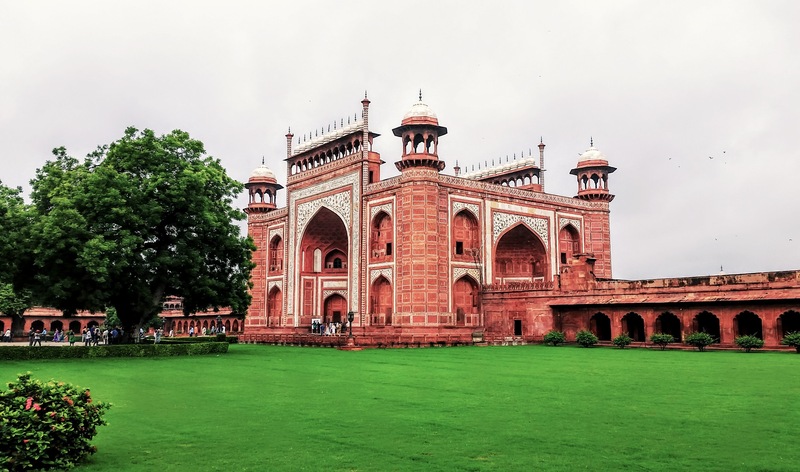 There is a train station and a new fast train service from Delhi to Agra was unveiled earlier this year. In fact, it’s the fastest train in India, so definitely look into it if you’d rather go by train! 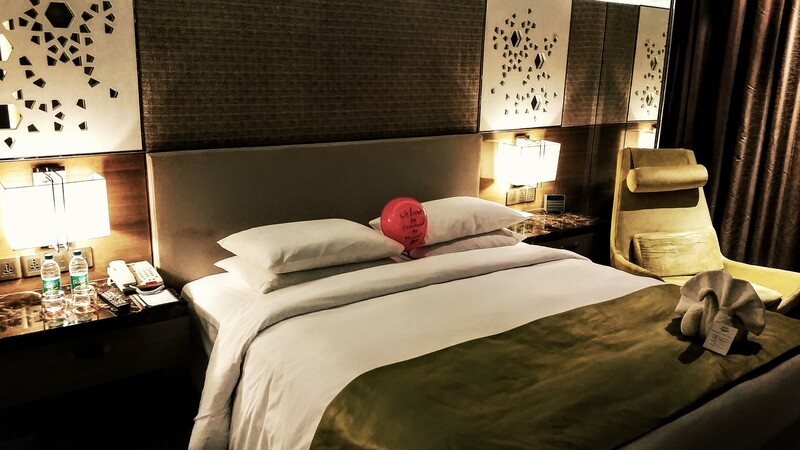 The beauty of a driver is that you can be met at the airport in Delhi and then not have to worry about anything, whereas with a train, you’d need to find your way to the train station, which could be a hassle. 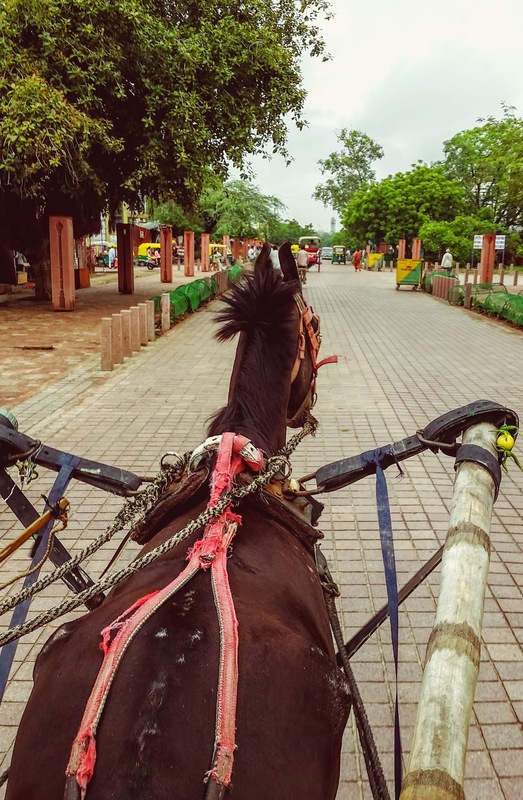 In my short time in Delhi, I got to experience a taste of its traffic and it’s definitely on par with Bangalore (ie – it’s terrible, so getting from the airport or any other Delhi location to the train station could be difficult). 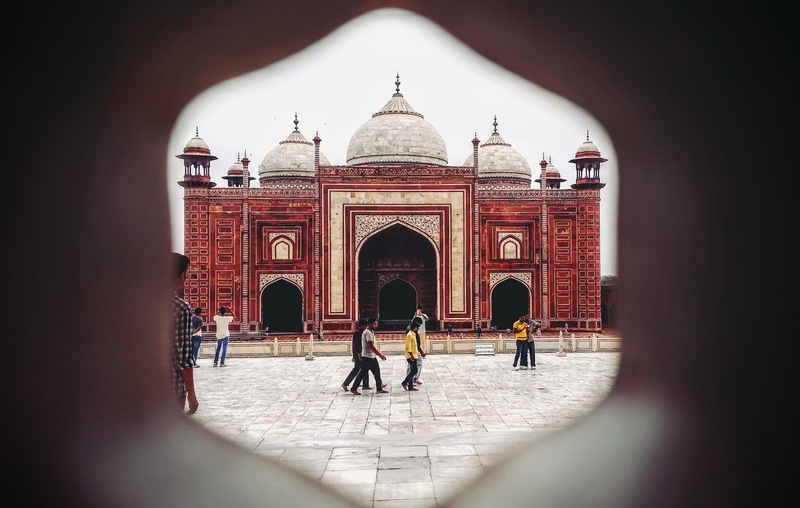 Whether you get to Agra by plane, train, or automobile though, do your research and pick the option that’s best for you. 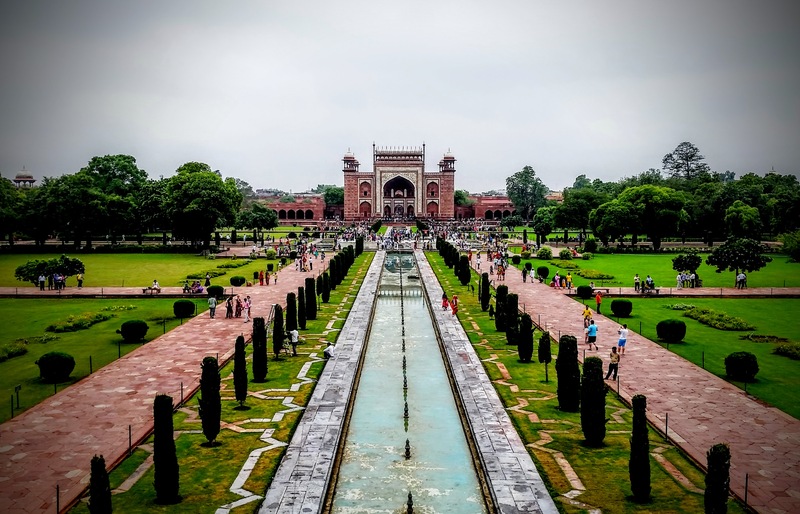 For my part, I was happy to support the company of my co-worker’s family and still think I got a great deal – I only paid ~$185 USD for the travel, which included the driver’s fee as well as the tolls (the expressway between Delhi and Agra has a few toll stops) and everything I needed in Agra (entrance to the Taj and Agra Fort, tour guides, and the Taj photographer – more on that shortly). 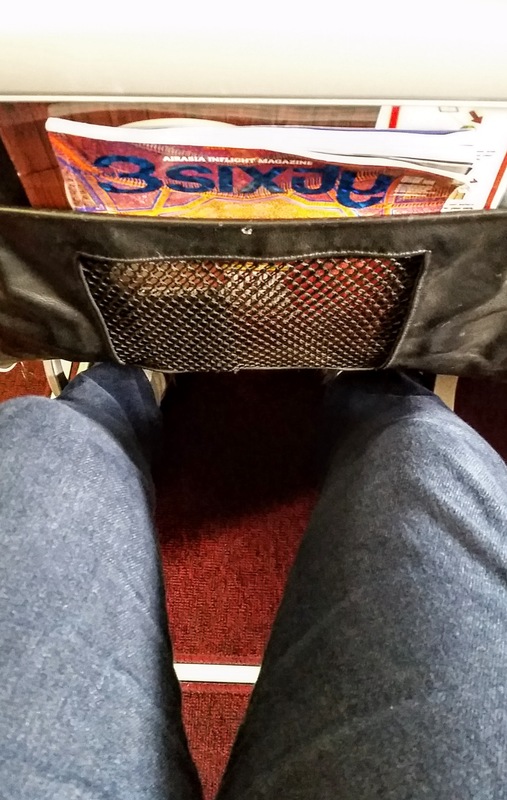 Exit row leg room on AirAsia. At least my knees weren’t touching the seat in front of me! The bed, which was just on the other side of the TV wall in the picture above. 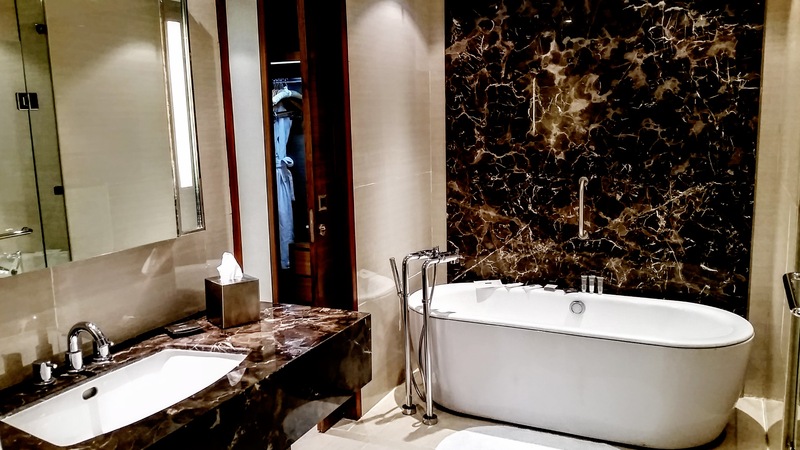 Great bathroom! The toilet and separate shower were to the right of this picture. 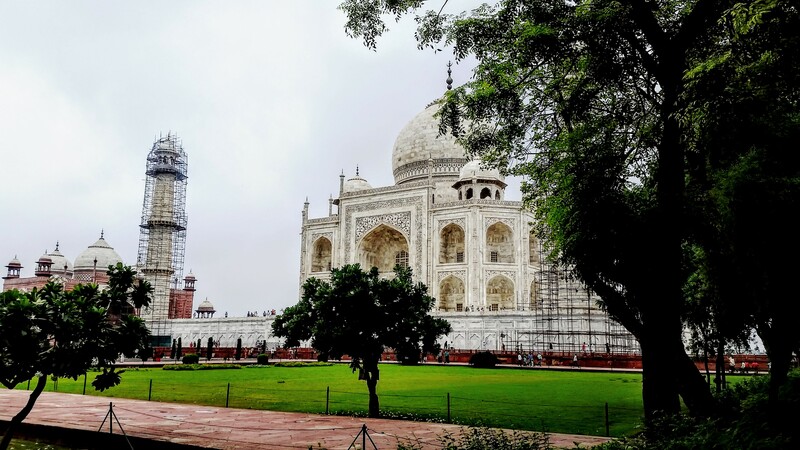 Now, for the good stuff – the Taj Mahal! I was originally thinking I would need to be up and out of the hotel by 6a, but I was thankful when Lucky (my co-worker’s family member) said we wouldn’t need to head over there until 8a. I had been told that the earlier you go to the Taj, the better, both to avoid crowds and the heat/haze as the day wears on. Based on my experience, getting there by 9a is totally fine as there were no lines to contend with. The weather, on the other hand, was flat-out GROSS. The temperature was probably 85-89° F (29-32° C) and the humidity was 100% – the air was unbelievably thick and heavy, so I got used to that as much as one can (ie – I just chose to ignore the fact that I was dripping with sweat) and focused on the experience instead. On the plus side, the rain that the forecast promised and that I was so worried about never materialized, aside from a light rain for the first ten minutes I was at the fort and a slightly heavier rain just after I finished there. 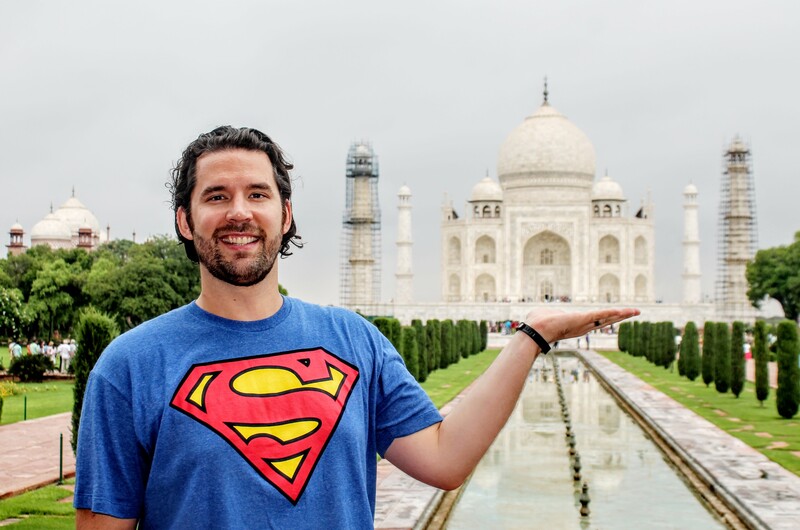 The Taj itself is an amazing building – something you truly have to see to appreciate. 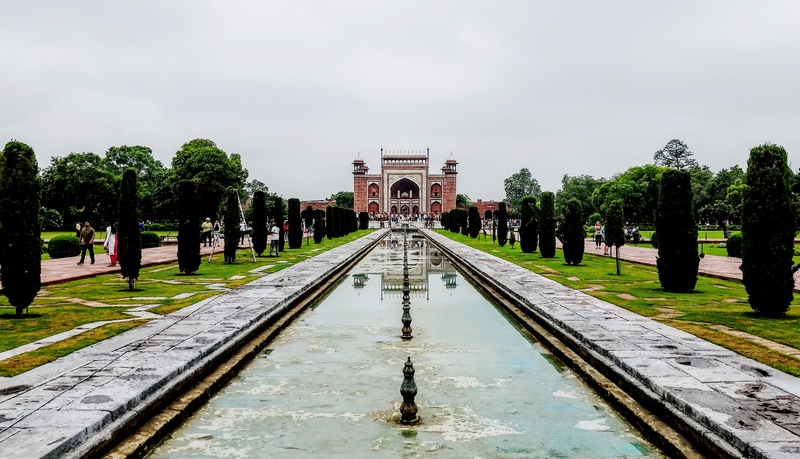 If you don’t know the history of the building, brush up on it first as it gives great context to history of the building and why Mughal Emperor Shah Jahan built it. The Taj has no electricity, so it’s open from sunrise to sunset each day except Friday (the only people allowed in on Fridays are Muslims coming to pray in the mosque next to the Taj) and the building looks very different based on the light hitting it at different times of day, but not matter when you’re there, you’ll love it. I wish the sun had been out for my visit, but I was so happy that I wasn’t being rained on that it didn’t matter! The construction is so beautiful and symmetrical that it has to be seen to be believed and I loved hearing all the details about the construction from my guide. I don’t know if the audio guide does as good a job as a local guide, but I presume it doesn’t, so get a local guide! 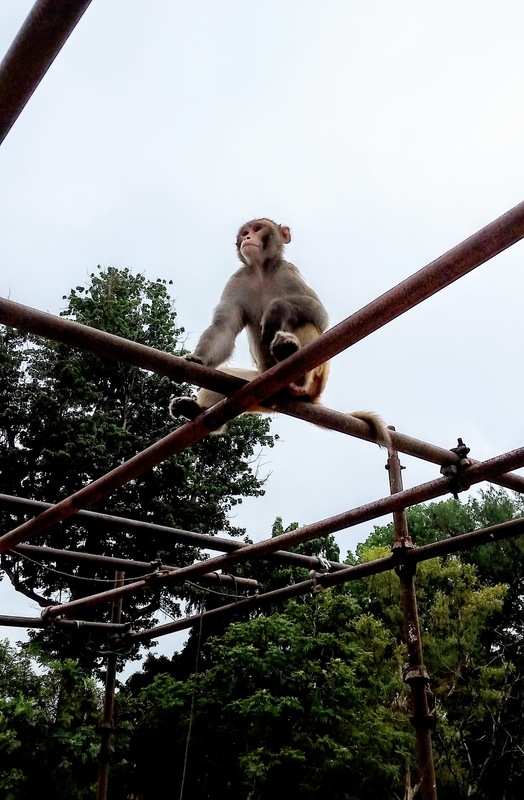 As often happens when I visit big, important monuments (the Taj is one of the Seven Wonders of the World, after all), it was partially obstructed by scaffolding (two of the four towers were covered, as you’ll see in the photos), but I learned to accept scaffolding long ago. Buildings like this need to be preserved and scaffolding is the price we have to pay for that! The horse-drawn tuktuk we took from the parking lot to the Taj entrance. And a picture with the driver and horse, who both look less than impressed. The imposing North Gate (main entrance). 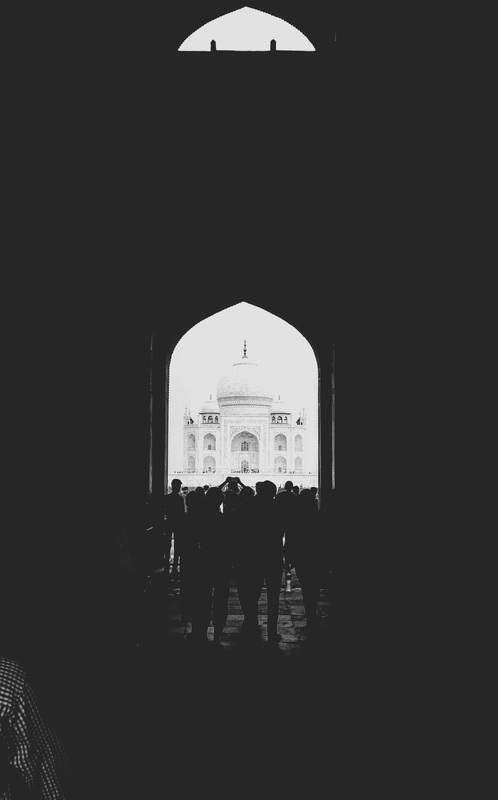 One of the many examples of the perfect design of the Taj – it’s no accident that it fits perfectly in this archway. The amazing Taj Mahal (as well as a bit of reflection in the reflecting pool in front). The construction and craftsmanship is breathtaking. All the detail work may look like carving, but it’s actually small jewels (mostly black onyx) expertly hammered into the stone. Looking back towards the North Gate. 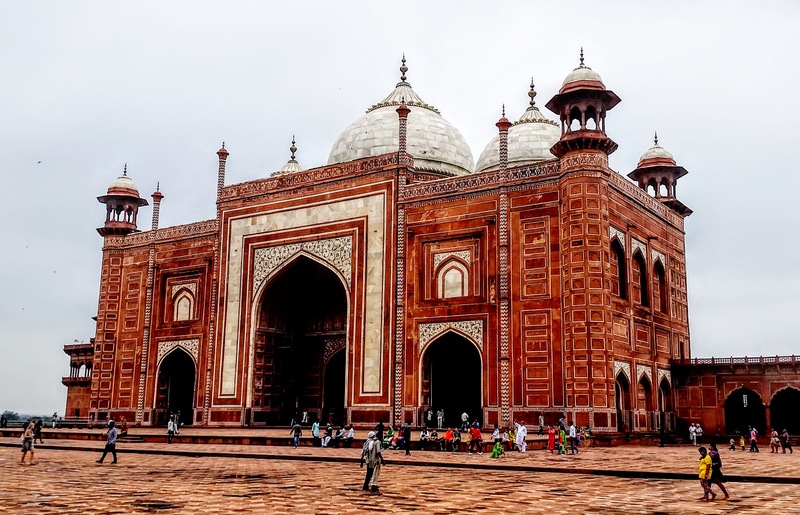 The red sandstone mosque on the west side of the Taj. The mosque seen through the inside of the Taj. 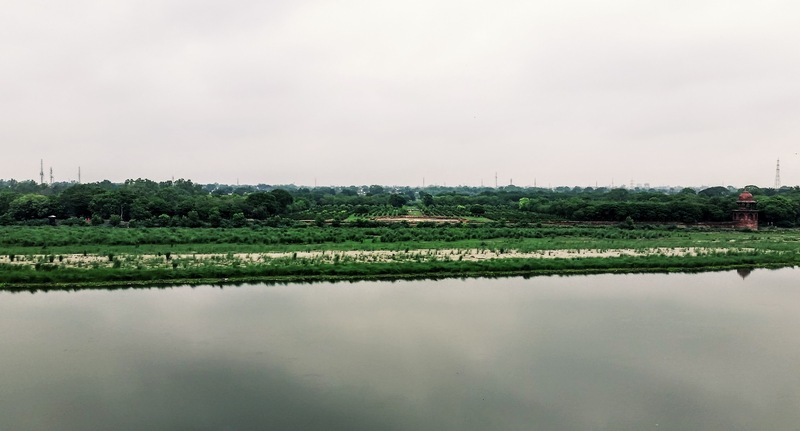 It doesn’t seem like there’s much to see here, but this is looking across the Yamuna River behind the Taj, where Shah Jahan wanted to build a second, black Taj. Another picture looking towards the North Gate, this time at the top of the steps leading up to the Taj. 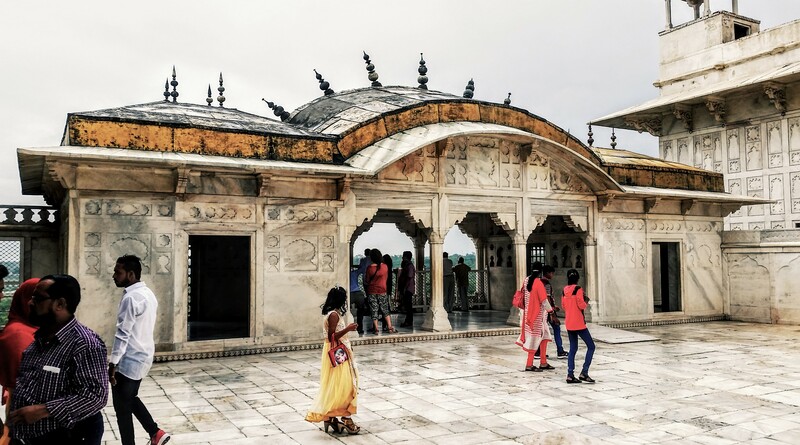 This may look like the mosque, but it’s on the east side of the Taj and my guide said it’s used as a guest house for VIPs, like the Queen of England. Be sure to look from this building to the mosque to really appreciate the symmetry – same design, same spacing, same everything. All done by hand by 20,000 workers over 22 years! I loved the way the Taj looked partially hidden by the trees. You’ll note there are no photos of the interior and that’s because you aren’t allowed to take them inside. Although you wouldn’t think it based on the huge exterior, the interior space you can walk through is actually quite small. 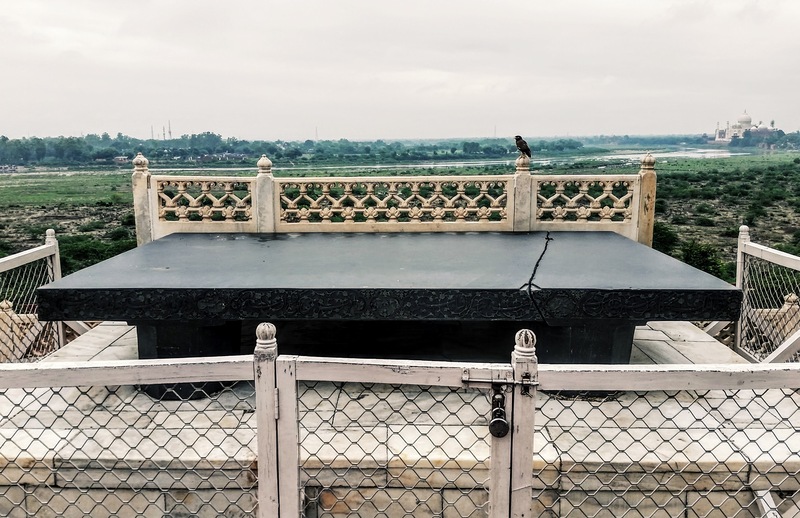 Remember, it’s a mausoleum, so both Shah Jahan and his wife are buried inside, but the actual tomb is below ground and inaccessible. The space you can walk through includes a replica of it though. You won’t spend long walking through there, but take a moment to appreciate the amazing acoustics before you head back outside to admire more of this amazing building. This one is quite good! I also really like this one of me and the North Gate. The journey back to the car included a stop at a marble shop where they sell items done using the same methods used in the Taj. I was directed in here by my guide, who I’m certain gets a commission from anything his tourists buy. I did buy a few items, but be warned – they aren’t cheap! Remember to haggle – nothing has a fixed price! If you don’t haggle, you’re paying too much. 🙂 We caught a battery-powered shuttle back to the parking lot (because they aren’t gas-powered, these little shuttles are allowed quite close to the Taj), where I was once again inundated by people trying to sell me things, including one man who remembered me from when we left, so he was really expecting a sale (he didn’t get one). Again, they are RELENTLESS and will continue hounding you even when you get back in your car (they’ll keep knocking on the window until you drive away). I did buy one postcard book from someone, but I only paid ₹100 ($1.50 USD) after a starting price of ₹300. Haggling is your friend! 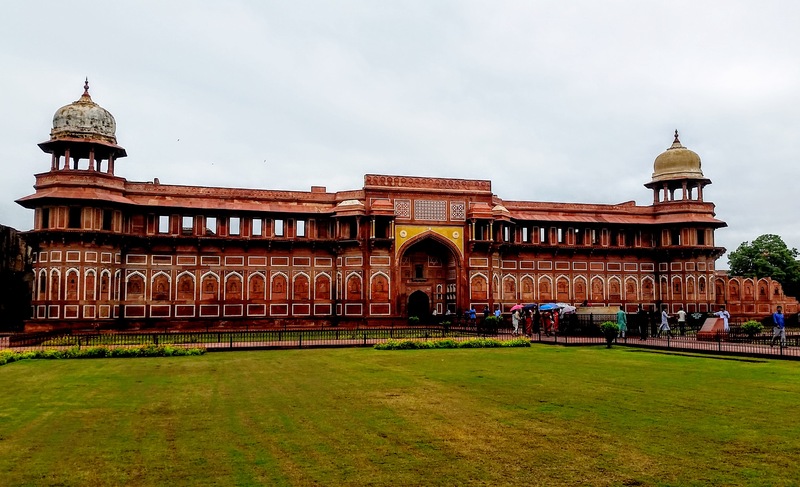 We spent about two hours at the Taj, which seemed to be a perfect amount of time, and since my flight back to Bangalore wasn’t until 8p, we had time to visit Agra Fort. 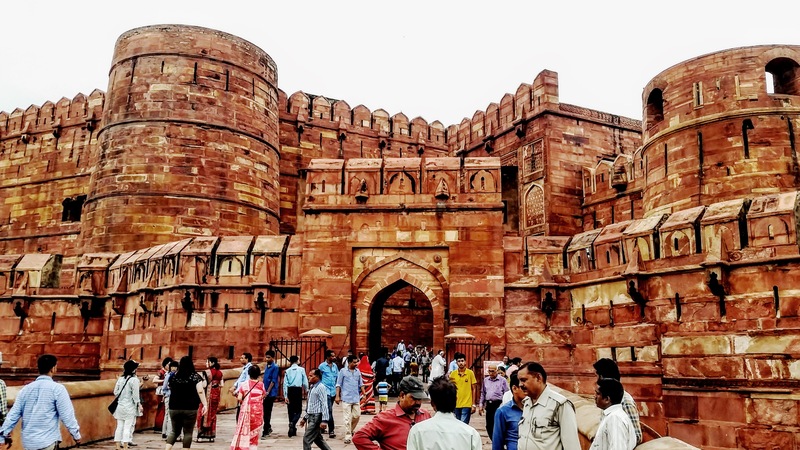 Located a couple of miles from the Taj, the fort is actually more of a walled city that was previously used as a home by the Mughal Dynasty and their military. 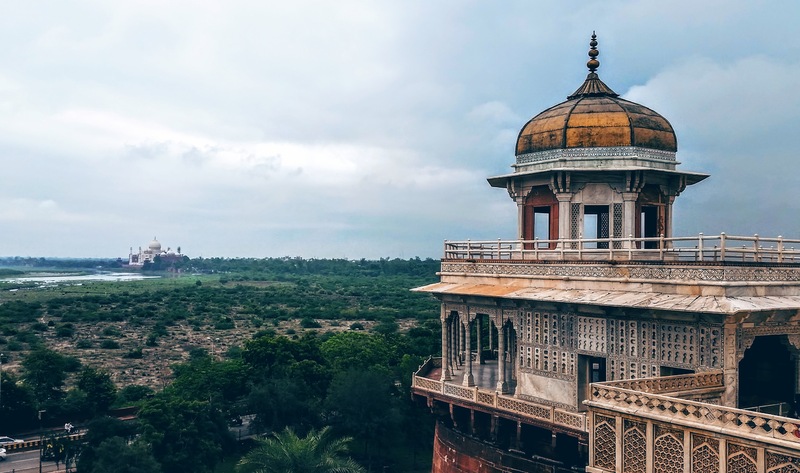 It was also famously the place where Shah Jahan spent the last several years of his life as he was imprisoned here by his son after he overthrew him. 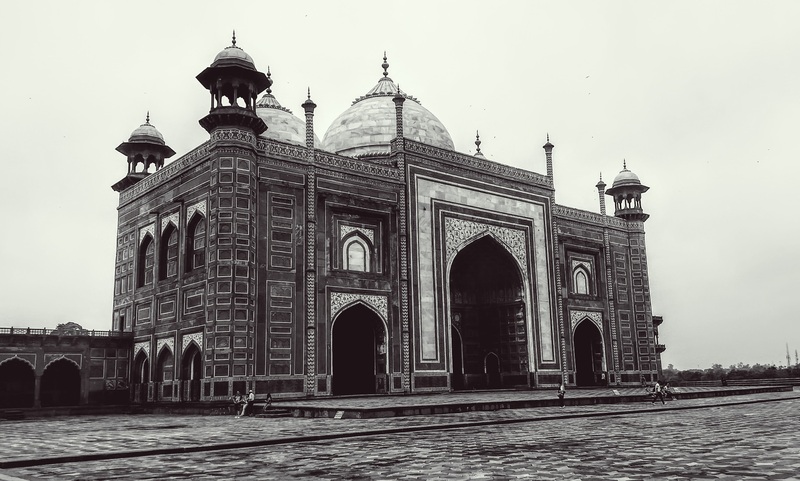 Being only a couple of miles away from the Taj, Shah Jahan was able to see the tribute he built to his wife every day, but was never able to go there again. Even today, 75% of the fort is still used by the military, so the space open to tourists only accounts for a small portion of the entire fort. The entrance fee is a perfectly reasonable ₹550 ($8 USD/₹50 for Indians) and there’s a discount if you show your Taj ticket from the same day (I’m not sure how much as Lucky bought the ticket, but I think it was ₹50). Lucky also found me another tour guide here who spoke great English and was very knowledgeable. I’m not certain if there’s an audio guide option here, so try to find a good local guide. I wasn’t planning on having the time to visit the fort, but I’m glad I did! 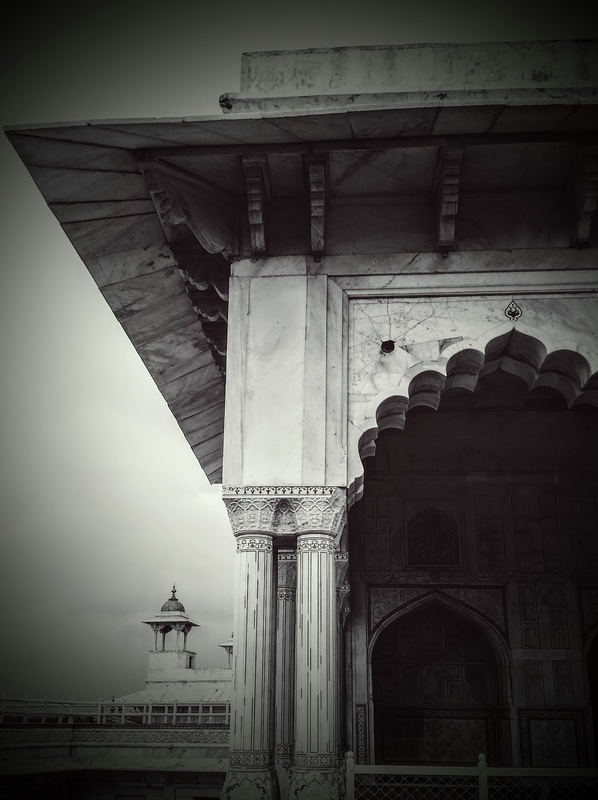 As with the Taj, I’ll let the pictures tell most of the story, but suffice it to say that Agra Fort is worth your time! The grounds just inside the entrance. The entrance to the building the women (wives and concubines) lived in. 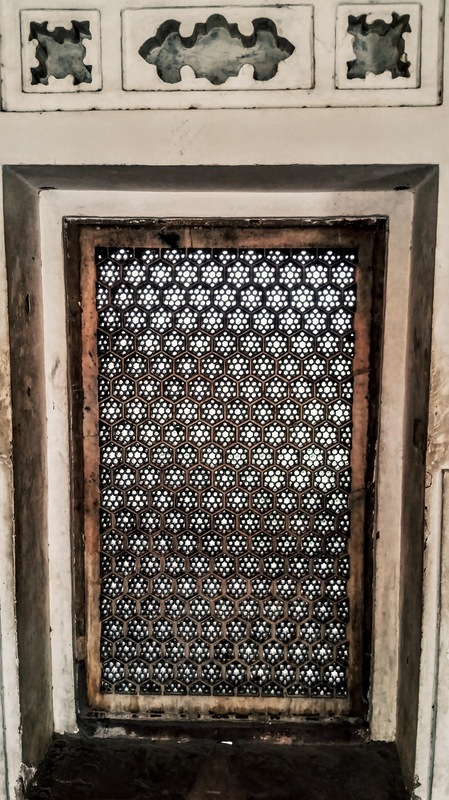 This window screen is made from ONE piece of marble. Crazy! The gardens, which include two small grapevines (in the lower-left of the photo) which grow in imported soil ten feet deep (the gardens are on the second level of the fort to accommodate the deep soil). 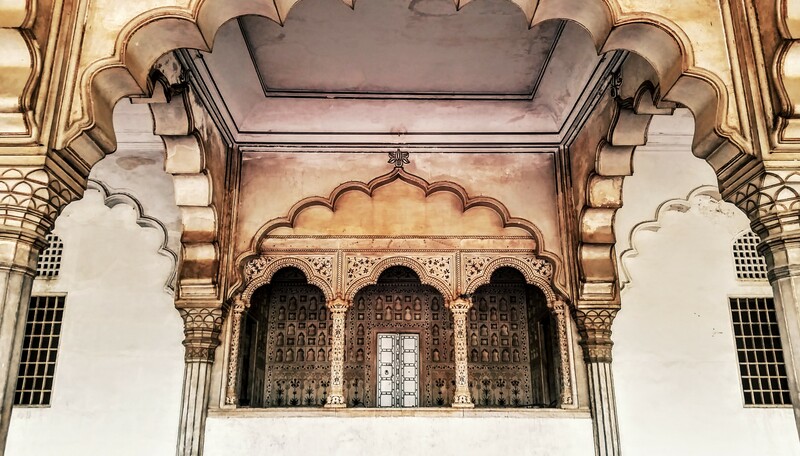 The room of one of Shah Jahan’s daughters. The Throne of Jahangir, made completely of black onyx. The crack on the right is from a British cannonball. The same cannonball that damaged the throne ricocheted up and also damaged this wall. The Taj seen in the distance. 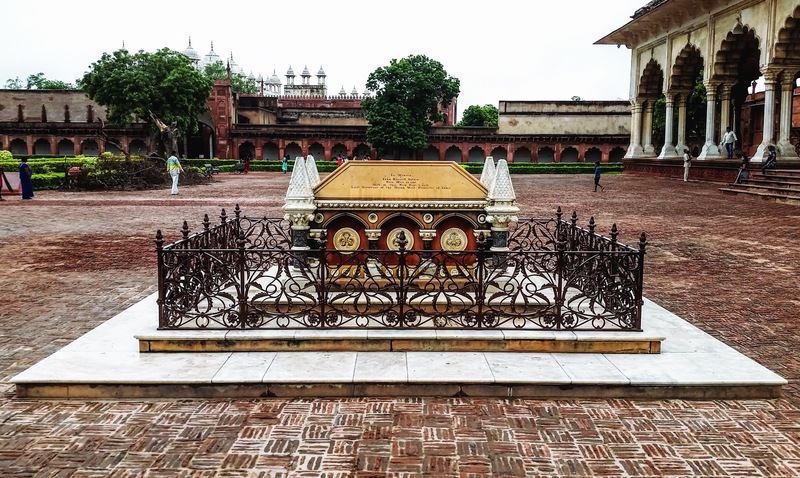 The tomb of John Russell Colvin, a British Lieutenant Governor in the north of India who died in the fort in 1857. A quick selfie as I left the fort! Whew! After leaving the fort, we started on the journey back to Delhi, which took around four hours and then I had a few hours to kill before my flight took off. The flight back was very smooth and we landed early to MUCH better weather. So glad Bangalore hasn’t been humid like Agra was! Today was spent sleeping in, relaxing, editing photos, and writing this blog. 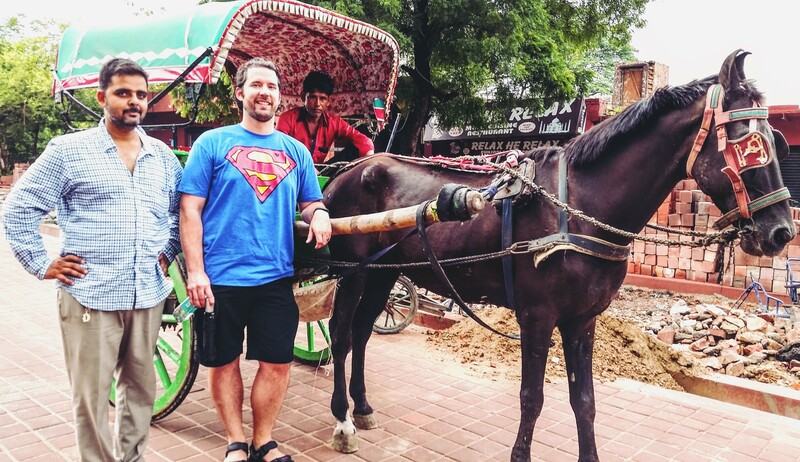 I’m so glad I was able to make this side trip happen and I can’t recommend it enough the next time you’re in India! It was definitely a lot of travel in 24 hours, but I would do it over again (ideally without the humidity!). Just a couple of days left in India before I head home! Between the great work with my India team and the side trips I’ve been lucky enough to take, it’s been pretty amazing. 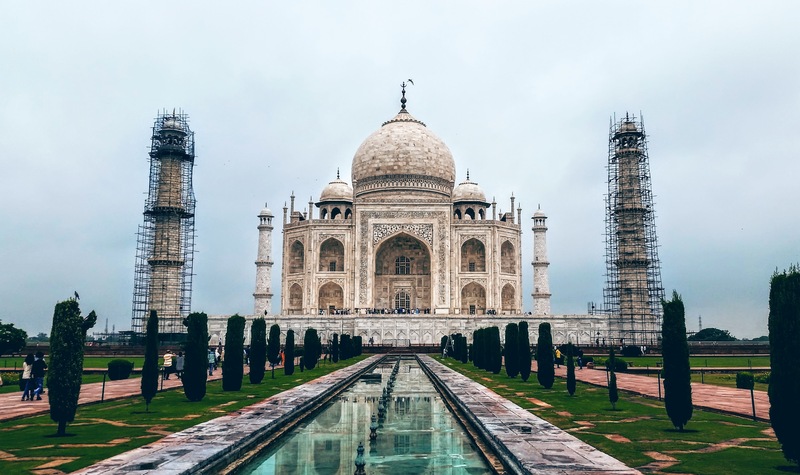 ADDENDUM – As I was discussing this trip with my co-workers today, one of them brought up the rumored “true history” of the Taj Mahal. Although I had heard a bit about it, I didn’t dig into it at all, so I did a quick Google search this morning and found this site, which lays out all the reasons why the “real history” can’t possibly be real and it seems there are a lot of valid points! 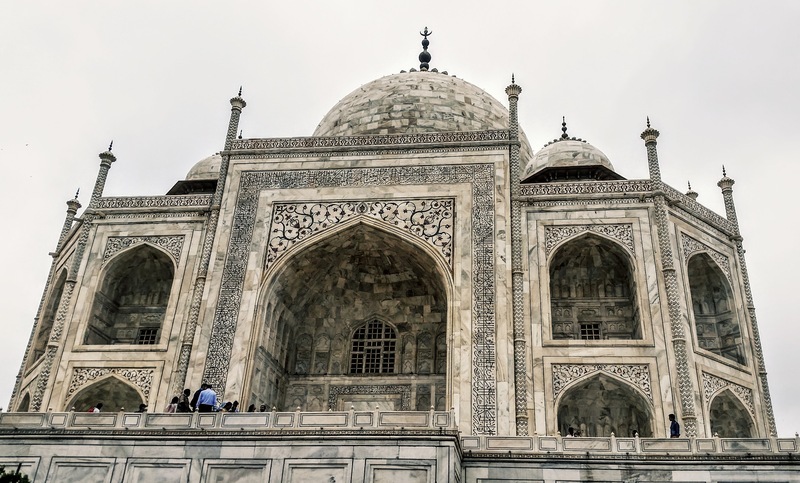 The biggest one for me is the carbon dating, which indicates the building was built hundreds of years before Shah Jahan was even born. Who knows what the true history of the building is, but read through that site, do some research, and draw your own conclusions!